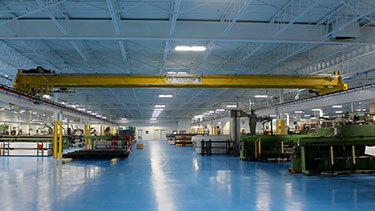 Ergonomic Partners manufacturers bridge cranes! 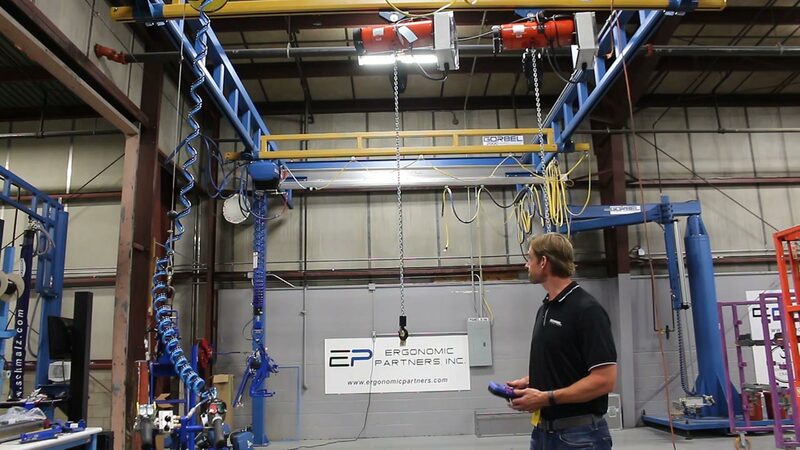 Ergonomic Partners with our parent company Tri-State Overhead Crane manufacturers overhead bridge cranes from 250 pounds to 100 tons, and up to 150 foot spans. Our many years of experience in helping customer's choose the right equipment; is proven by the hundreds of cranes we have built and sold. 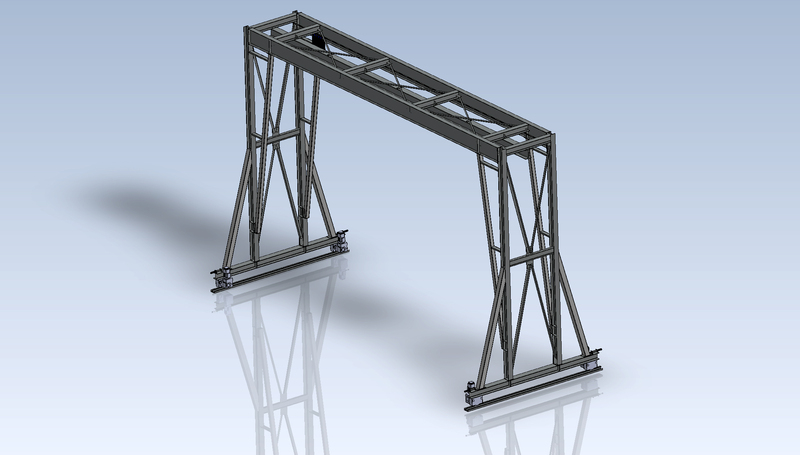 We manufacture single girder top running bridge cranes up to 20 ton capacity and standard bridge spans up to 120 feet. Our under running bridge cranes can be provided in spans exceeding 75 feet and capacities up to 25 tons, although typical spans are 60 feet with capacities not exceeding 15 tons. Double girder top running cranes can be provided for CMAA Class A, Class B, Class C, Class D, and Class E with typical capacities up to 500 tons and spans to 200 feet or more. 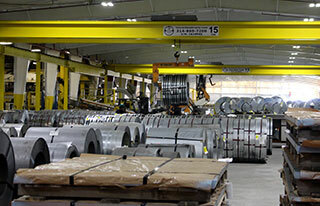 Double girder under running cranes can be provided for CMAA Class A, Class B, Class C and Class D with typical capacities up to 25 tons and spans to 100 feet or more. 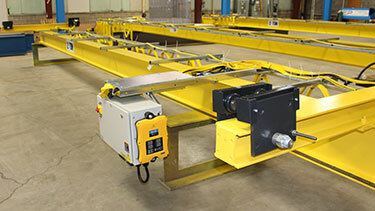 We build double girder gantry cranes for indoor or outdoor applications and can be provided in top or under running; for CMAA Class A, Class B, Class C, and Class D, and Class E.
TC American Patented Track Cranes, monorails and runways are made of special steel containing a high carbon and manganese content. This makes the running surfaces extremely hard and tough due to the chemistry of the steel. 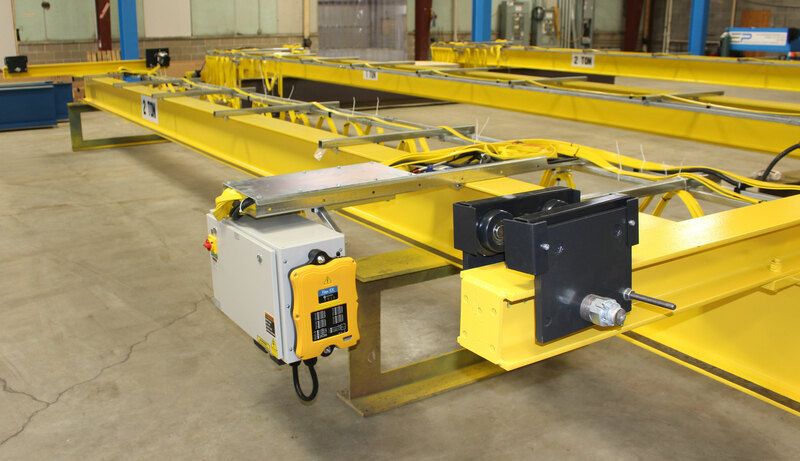 Ergonomic Partners can help with your overhead bridge crane early in the project by developing a specification for the right type of equipment, and working with the building architects to assure it will fit in your building and provide the proper operation. Too many times a bridge crane is an afterthought and vital items such as hook height, and floor coverage are sacrificed due to poor planning. We can provide top running bridge cranes as follows: Single Girder Top Running Bridge Cranes-Up to 20 ton capacity/120 foot span and Double Girder Top Running Bridge Cranes-Up to 100 ton capacity, 150 foot span. 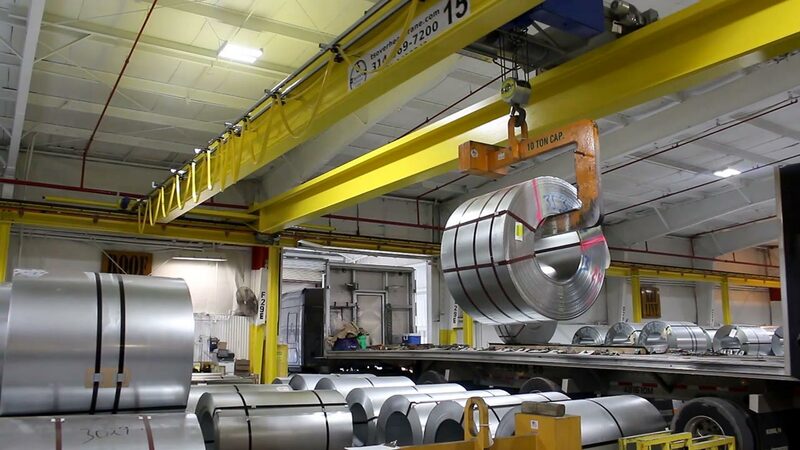 Typically top running overhead systems are used in applications that are more demanding, especially double girder top running bridge cranes. 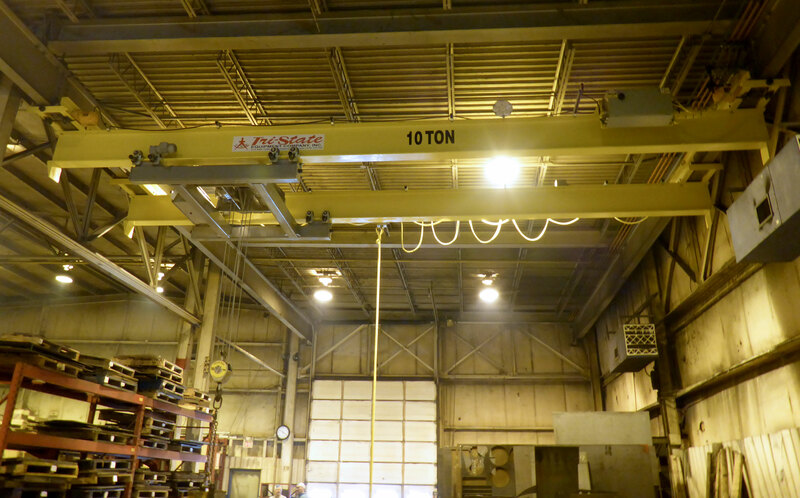 We can provide overhead bridge cranes to go into clean rooms, explosive environments, molten metal handling and other demanding environments. If a typical bridge crane is not what will fit your application we can provide cranes such as single and double leg gantry cranes. 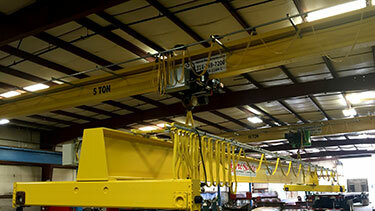 Whether you need manual, electric or air powered bridge crane we can provide a solution. In addition to the bridge crane, we can provide the runway structure to work in conjunction with a new building or an existing building. Freestanding but tied back to the building structure-(in buildings with some substance-new or existing buildings) for top or under running design bridge crane. All runways are designed per CMAA, ANSI and AISC specifications and are designed by a professional engineer. These runways can be stamped by a professional engineer. 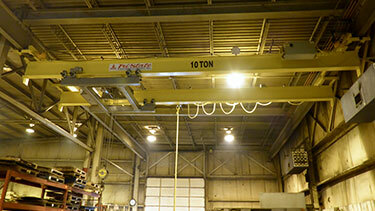 If you are looking at an under running bridge crane we recommend a patented track system from TC/American. 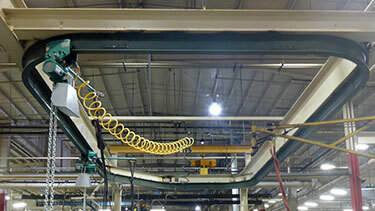 Our crane branch, Tri-State Overhead Crane manufactured this 15-Ton double girder top running overhead bridge crane for lifting 10-ton steel coils. 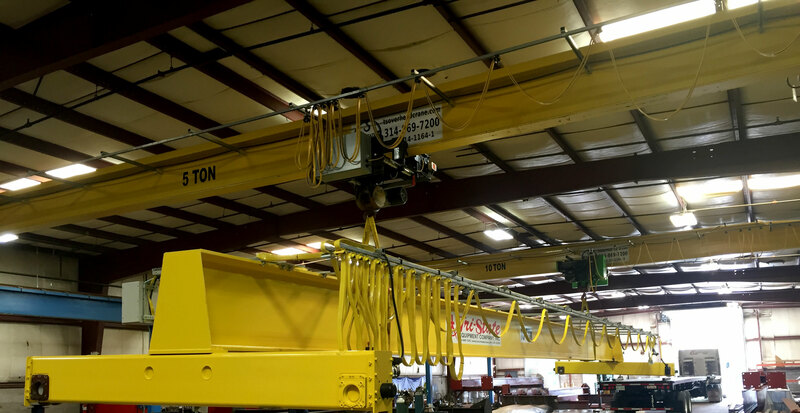 This overhead crane features a 500 foot runway, 75 foot bridge span, wireless radio controls, R&M Spacemaster Hoist, and a 10-Ton I.D. 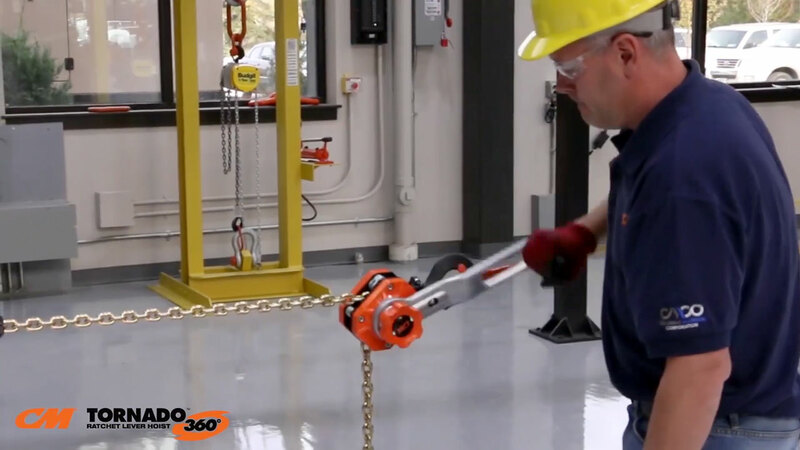 C Hook Coil Lifter. 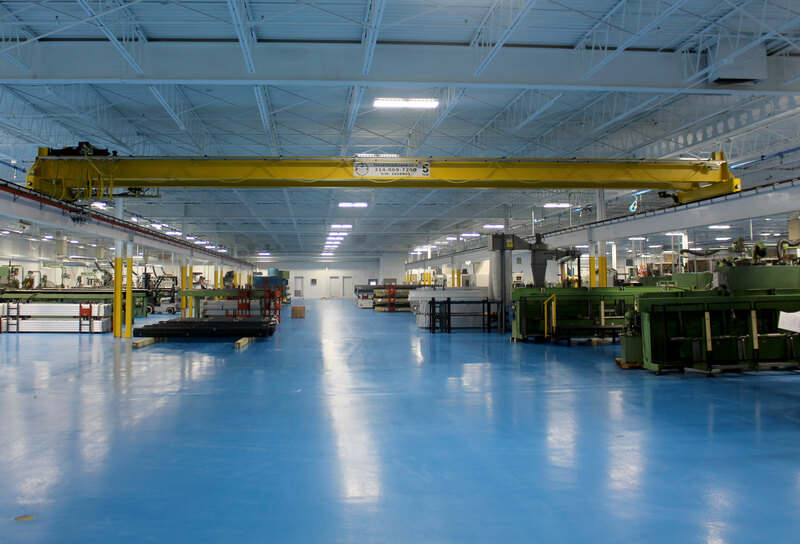 Ergonomic Partners manufacturers and services overhead cranes; serving clients from coast to coast, Canada, Mexico and especially focused in the states of Missouri, Illinois, Indiana, Kansas, Arkansas, Mississippi, Nebraska, Tennessee, Kentucky, Iowa, and Oklahoma.